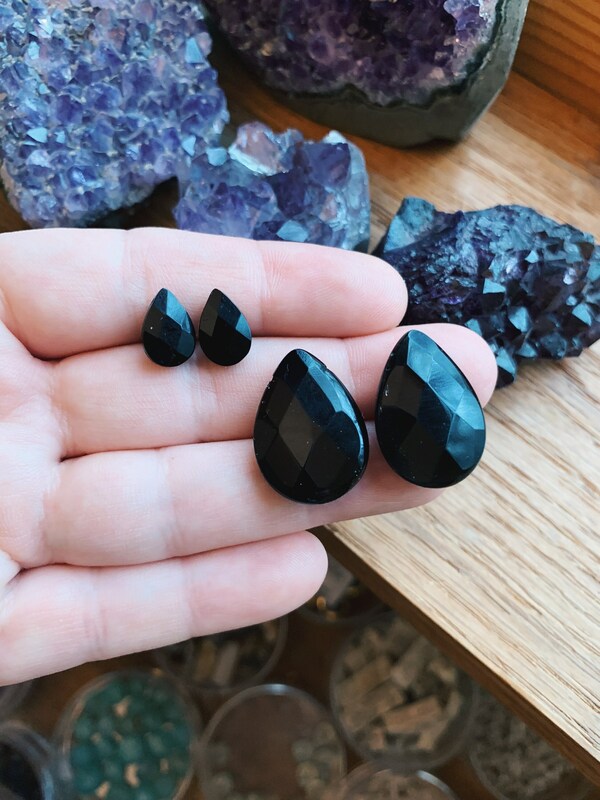 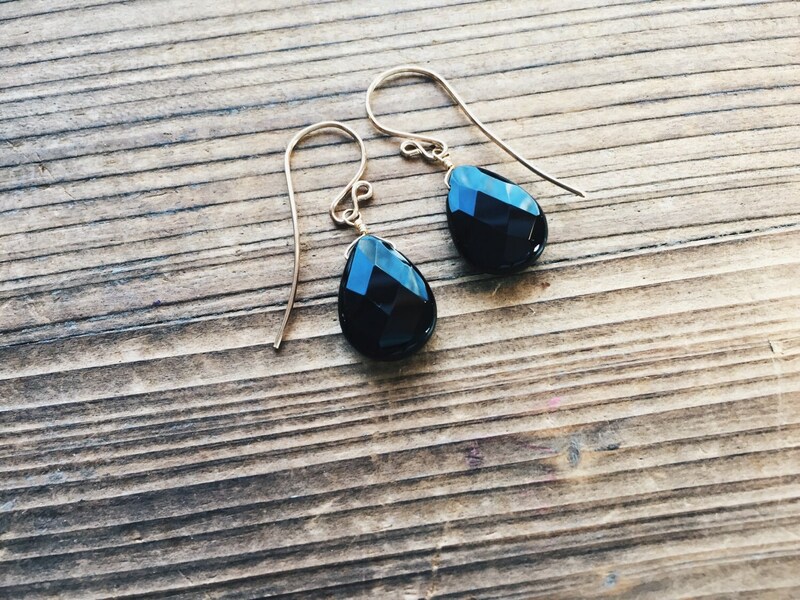 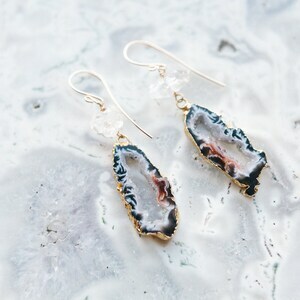 These faceted onyx teardrop gemstone earrings go with everything. 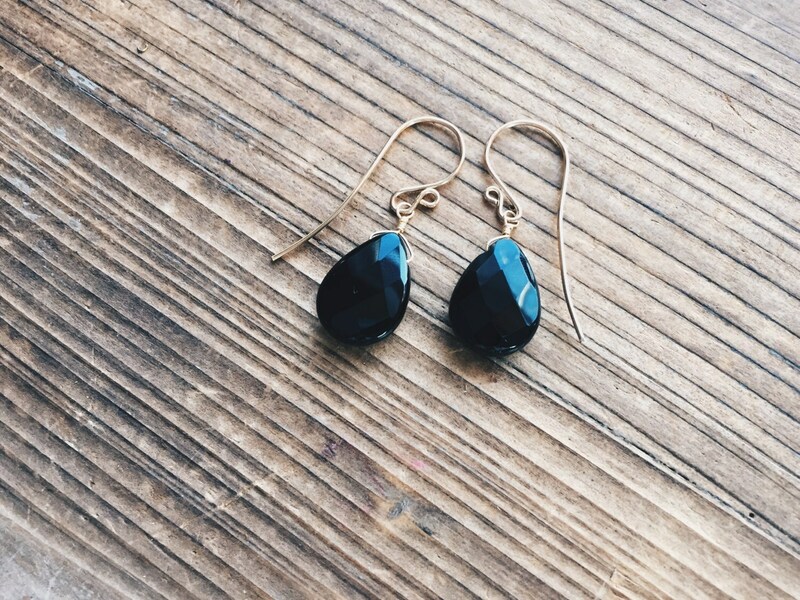 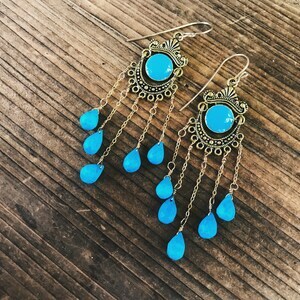 They are the perfect simple accessory for the lady who doesn't wear jewelry or for someone who wants something simple to go with a statement necklace. 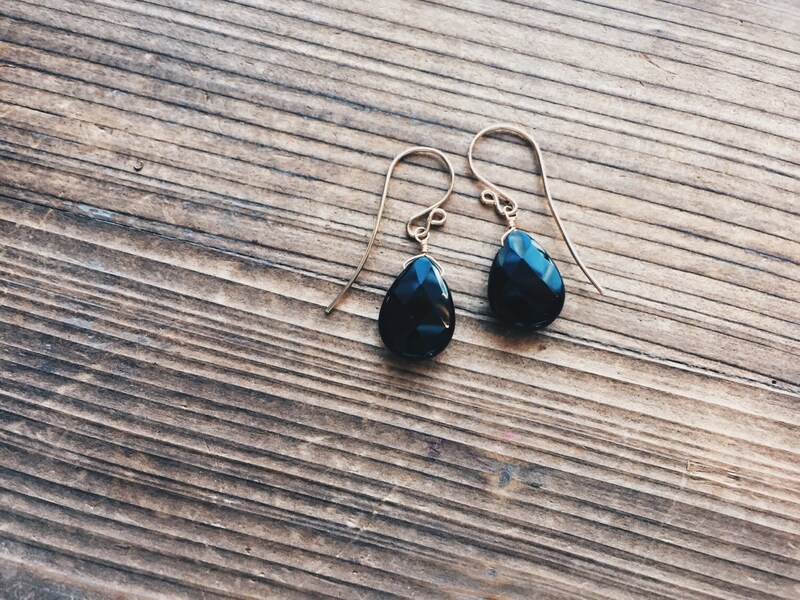 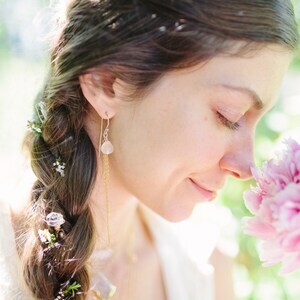 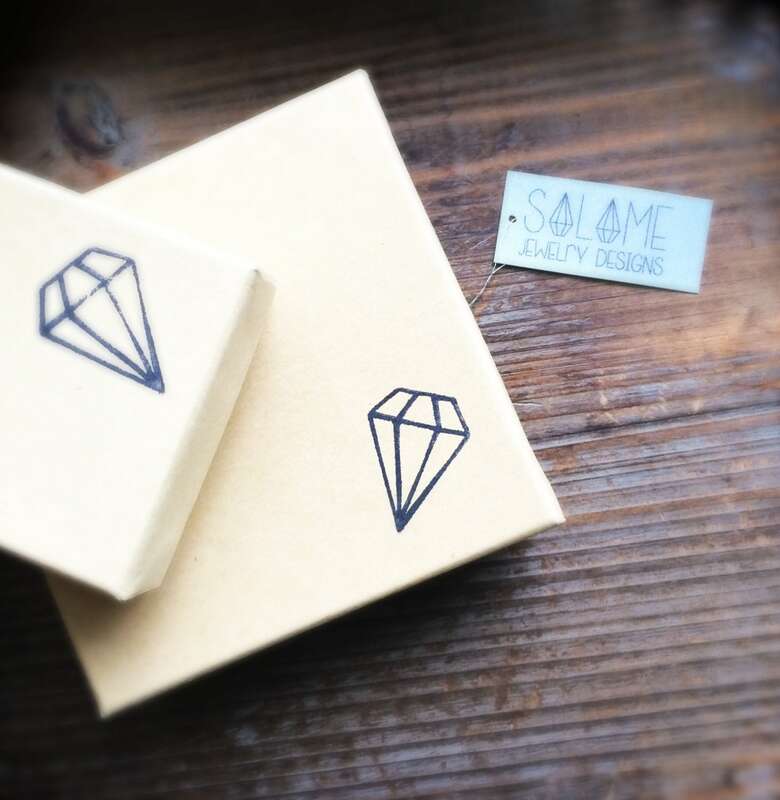 The onyx gemstones are wire wrapped onto either 14k gold filled, rose gold filled or sterling silver french hooks. 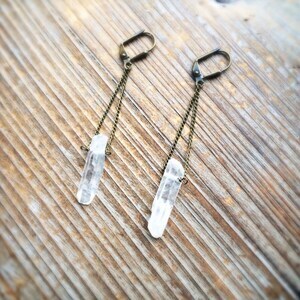 Length: two sizes available see the last image for reference.